Laurie: Hi, this is Laurie McCabe from the SMB Group, and John Mason, IBM’s new General Manager and VP for Midmarket, is back with me in the SMB Spotlight. John is with me for a second discussion about IBM developments and directions in SMB and midmarket. In our first discussion, we learned about John’s background, and talked about the implications of IBM’s acquisition of SoftLayer and what it means for SMBs and midmarket customers. Today, we’re going to talk about other trends that are in the midmarket, and the plans and initiatives IBM’s putting into place around those. Welcome back, John. I’m glad you can talk to me again. John: Great to be back discussing this exciting area of growth with you. Laurie: Let’s get a little context first. As we talked about last time, IBM has been doubling-down on SMB and midmarket and channel initiatives for a few years. For those that may not have been paying attention, can you sum up the journey to date? 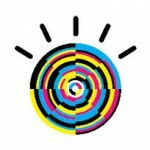 Where was IBM coming from in 2008-2009 when it decided to put more meat behind its midmarket focus? John: We recognized that there was a clear opportunity to scale our midmarket business with more focus on business partners and marketing rather than a traditional large enterprise approach with sellers engaging directly with clients. So the focus was on how do we leverage our marketing programs to generate demand and awareness, and then work with business partners of various types to fulfill customer needs with hardware, software and service offerings. Laurie: I know you’re coming in kind of fresh, but in a way that’s good because you can have, I think, a more objective opinion. When you look at what IBM has been doing, what do you see as, “Wow this is working,” and what are the areas where the learning suggests you need to change your approach? John: One key thing that has changed relative to several years ago when we first kicked off our midmarket initiatives is the emergence of cloud. That’s fundamentally changing what’s possible and particularly relevant for small and midsized enterprise customers that don’t have the levels of IT infrastructure themselves. Now they can take advantage of that with cloud solutions, and that means that we need to rethink how do we approach this market. What are the offerings that are most relevant to midsized companies, and how do we take those to market? We’ve put a big emphasis on managed service providers in the past two years. We are helping managed service providers build on top of IBM infrastructure, and take solutions and services to midsized companies in ways that they can consume simply. How do we take advantage of the shift in the landscape to grow IBM’s business with new customers? Laurie: What other trends do you see? John: One of the key evolutions that we noticed—and we do a number of CXO-level studies—is the shift to a new type of buyer who isn’t the traditional IT decision maker, but line of business (LoB), a marketing head or a head of HR or another function. Maybe they have been frustrated with the fact that the IT team spends so much time just maintaining what’s already there, and isn’t able to focus on new projects that they are asking for. LoB decision makers can now directly make decisions to use cloud solutions to help them with their business needs, and that’s a real change in the marketplace. It’s one that IBM needs to understand because we have a long history of talking to IT decision makers, but that’s not the only decision maker we should focus on. Laurie: We see that, too, and that leads to the next question I have. It seems like IBM midmarket offerings have focused more on the infrastructure. 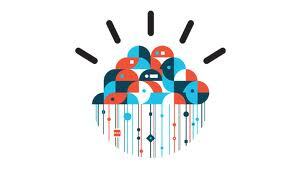 How is IBM going to market with business decision makers who don’t buy IT plumbing? John: It’s about working through and with business partners of various types because even with the evolution of cloud, smaller businesses tend to buy from local partners that they feel comfortable with. There’s a key role business partners—both traditional and born on the cloud. Getting them to work with IBM products, and with ISVs and other service companies that have complementary parts of the solution, and then tying that together in a way that the customer can easily use. It’s a focus on simplicity for the customer. Laurie: Another thing I wanted to touch on here is the IBM image in SMB and midmarket. The “midmarket businesses are the engines of a smarter planet” campaign helped raise the visibility for IBM and by association for partners. But there’s still a long way to go before many SMBs think of IBM as their go-to provider. Do you think that’s a fair assessment, and if so, what’s in the works to change that? John: I actually do think that’s a fair assessment. Part of what’s exciting about this is that there are many customers out there that don’t have any IBM offerings in their company today. SMBs make up 90 percent of the global workforce, 65 percent of the world’s total GDP, and, at the same time, how many of those are IBM customers today? Tens of thousands, but certainly not millions. The opportunity we have is to communicate in simple terms what we have. We have a broad portfolio of more than a hundred cloud offerings, but probably only a subset of those are directly relevant for SMBs. How do we combine these assets with our SoftLayer acquisition to bring solutions that midmarket companies can easily use, deploy? Which partners can best help customers take advantage of that? Sometimes, the hardest part is making it simple. It’s a segment that needs absolute simplicity. For instance, our recent announcements around Mobile First, and creating solutions that can be easily bought and deployed by SMBs working with our partners. Laurie: I think simple is the expectation. It’s easy for us to do things as consumers. We want that in business applications as well. John: We talked earlier about the SoftLayer acquisition, and one of the things SoftLayer has done well is make it simple to buy. Now, we can leverage that in working with other types of business decision makers, not just IT. We need to make it equally simple for them to buy HR solutions like Kenexa or SmartCloud for Social Business. We’ll put a lot of additional focus above and beyond what we’re already doing successfully. Laurie: It looks like a lot of interesting pieces that if you can pull them together should go a long way in making things more consumable and useable right out of the gate. John: Working with managed service providers is clearly going to be a big piece of that. That’s where we’re seeing a lot of initial success. Laurie: Okay, it’s been great to talk with you again, John. Thank you, and we’ll be keeping a watch on the new developments and how you’re putting the building blocks together. This is the second of a two-part SMB Spotlight interview with John Mason, IBM’s General Manager and VP for Midmarket, sponsored by IBM. In the first post, John and I discussed IBM’s acquisition of SoftLayer, which provides dedicated hosting, cloud computing and cloud services offerings.